Kehakuma hosted the best electronic music coming from Cologne on Saturday, August 22nd. The Terraza of Space Ibiza became the European center – and probably the worlds – with the most advanced sounds with an outstanding ambassador, KOMPAKT label founder Michael Mayer. KOMPAKT TOTAL and part of the record team held their third night of the season with the most satisfactory result. The German party began his journey at 1am with Barem on the decks. His rhythms based on the most powerful basses and his capabilities to make it simple provided the strength that was needed. In short, an addictive choice of tracks which were very difficult to disengage once the session ended. At two o’clock in the early morning, the leader Michael Mayer arrived with Holland’s Patrice Bäumel. The clubbers waited impatiently for the first beats of the most desired back 2 back. Since the beginning it drew a soundscape that captivated everyone present. ‘Humm’ by Mayer and ‘The Vanishing’ by Bäumel, included in the KOMPAKT TOTAL 15 compilation released the same week of the event, were heard better than ever thanks to the Funktion One sound system. Danny Daze was the last to contribute his great professionalism. The Latin American mixed stylistic influences ranging from the Techno of Detroit to Miami Bass getting the approval of a demanding audience. One of the key moments was when he dropped his latest remix of ‘Tell Me Why’ by Terranova feat. Stereo MC’s. Moreover, the themed party ‘elrow Music’ traveled in time to the 70s. Disco balls, time period fashion and the always amazing show was the main focus in the Main Room. 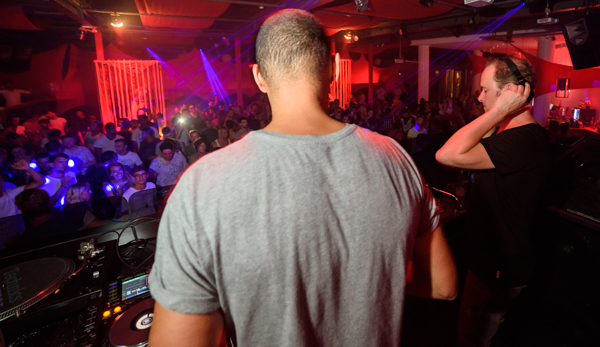 Toni Varga and De la Swing shared their unmistakable Techno-House melodies making the perfect warmup for Los Suruba. 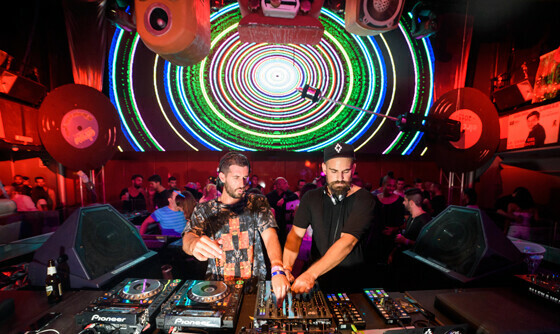 The duo, special guests at Kehakuma last week, already knew how to treat the audience of Space Ibiza. You could say that the club is like a second home for Delmar and Álvaro who give themselves up for each of their sessions. 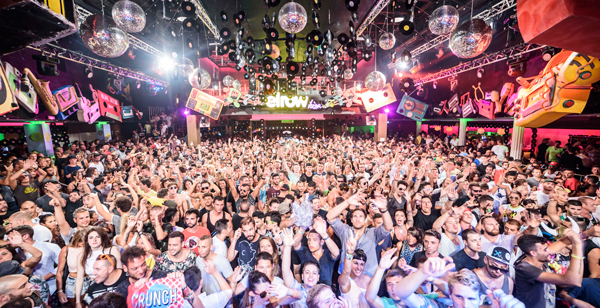 At elrow nobody stopped jumping until Paul Ritch arrived. 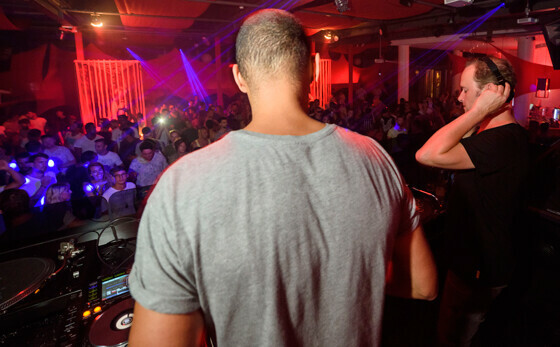 The live performance of the Frenchman hinted at his most rhythmic Techno with touches of Minimal. His performance was a treat for fans who waited until 4:30am to enjoy their favorite DJ. And the wait was worth it. 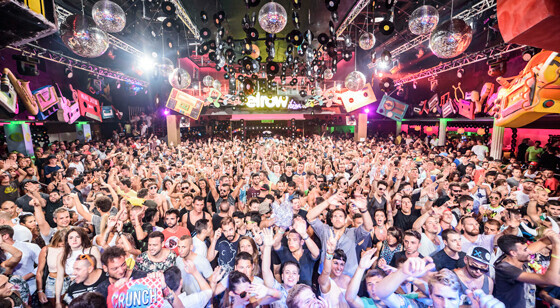 Finally, Marc Maya closed the party with the typical sound “made in elrow”. 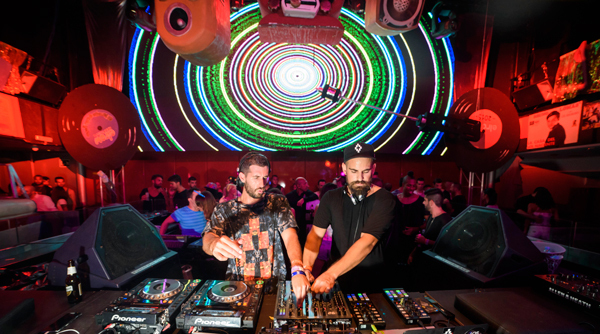 In addition, And.Id, Igor Vicente and Alex Pott were the masters of KER at the Sunset Terrace on Saturday marked by KOMPAKT TOTAL, a party that returns for its last date on September 19th. Buy your ticket for Kehakuma-elrow and dance with Groove Armada (DJ set) and Fritz Kalkbrenner next Saturday, August 29th at Space Ibiza.